The Hozelock Pond Gloves are made from strong durable PVC with extended arm guard and elasticated sleeve to protect clothes. The full arm length makes them ideal for all pond cleaning tasks and they are fully waterproof. The Pond Gloves are ideal when handling pond equipment or maintaining aquatic plants and you want to keep your hands warm and dry. The Hozelock Pond Gloves are made from strong durable PVC with extended arm guard and elasticated sleeve to protect clothes. 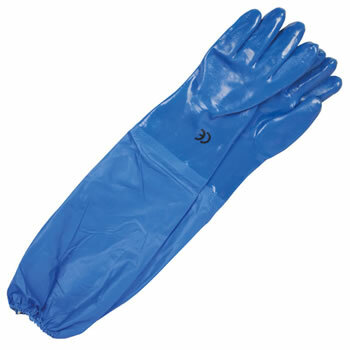 The full arm length makes them ideal for all pond cleaning tasks and they are fully waterproof. The Pond Gloves are ideal when handling pond equipment or maintaining aquatic plants and you want to keep your hands warm and dry.